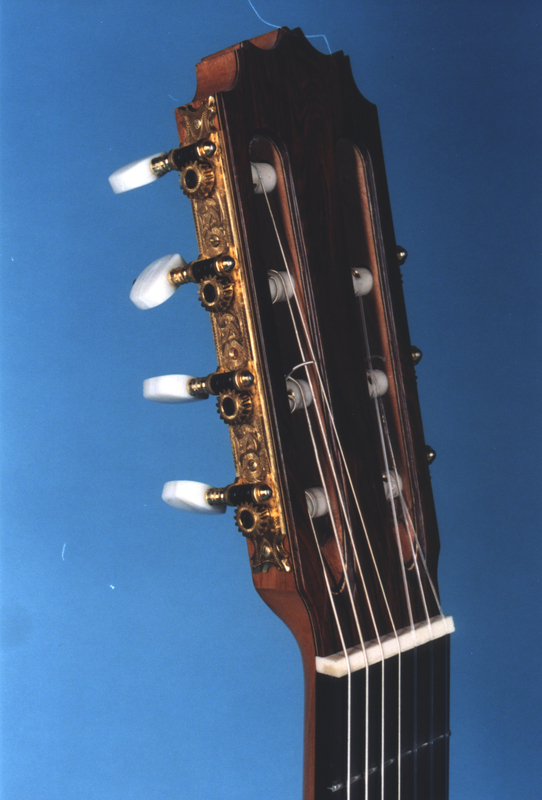 This is a seven string guitar owned by the English jazz guitarist Matt Wall. 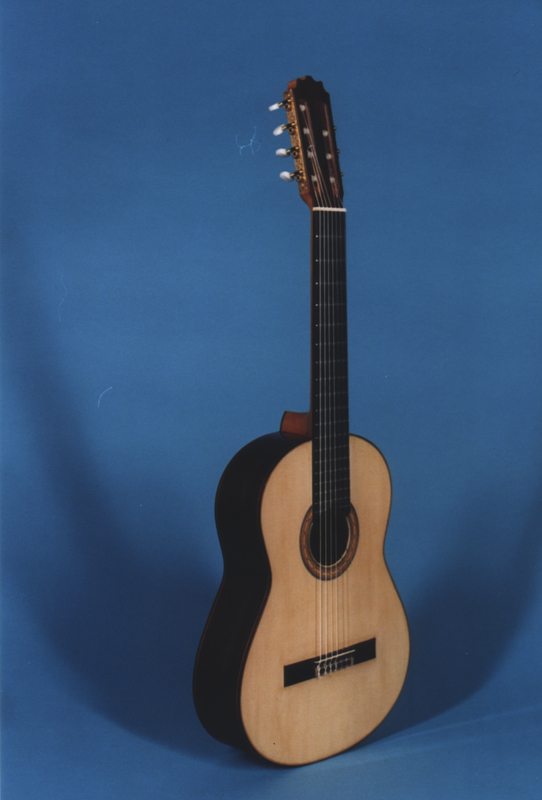 Originally the guitar was made along with a cavaquinho as played in Brazilian music. 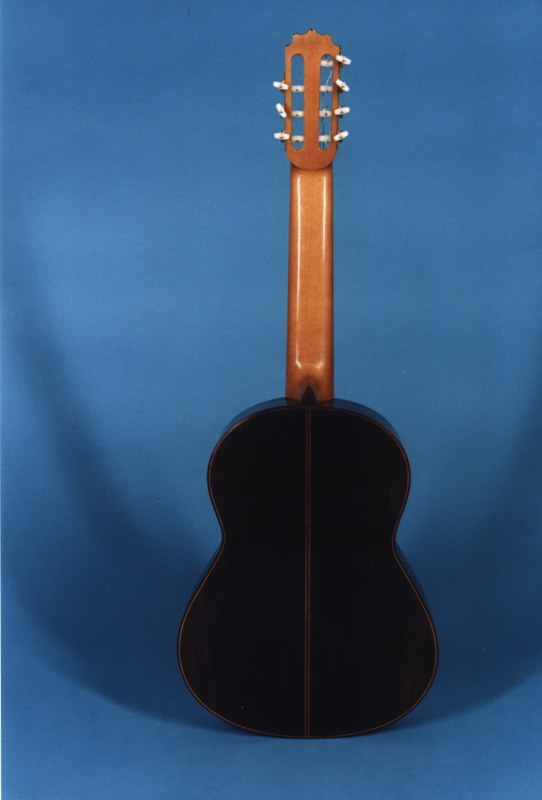 It’s made of European spruce top with Indian Rosewood back and sides and ebony fretboard with Spanish cedar neck. 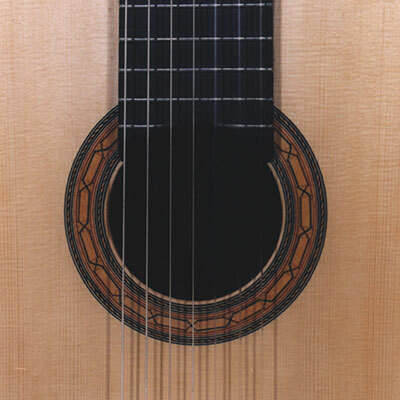 The top is made with a seven fan strut Torres plantilla but with the struts slightly more parallel.